How to finish a band in such a way that it does not unravel? Easy - you don't even need a needle. You just need two slick, strong threads which you can certainly find in your pile of thrums. 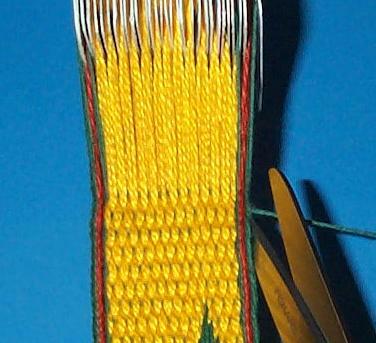 Take something that is thinner than your weft. 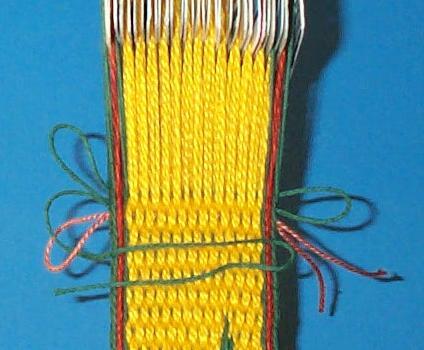 Step 1: Weave two looped threads in with the third-to-last (pink thread) weft and second-to-last (white thread) before you weave the very last pick. 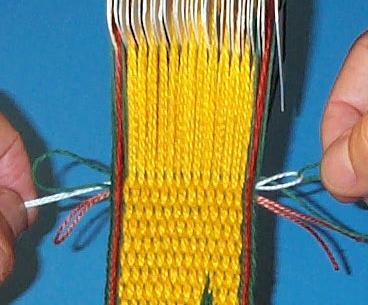 Turn the cards one more time to lock the final weft in place. Leave a loop (green thread top left). Cut the weft and thread it through the last loop, the white loop in this case. 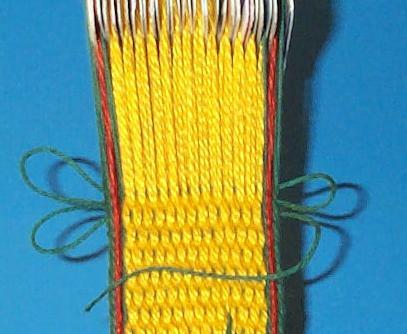 Step 2: Pull the white thread to the left. Leave a (green) loop on the right. Step 3: Thread the weft through the pink loop. Step 4: Pull the pink thread to the right. Leave a (green) loop on the left. 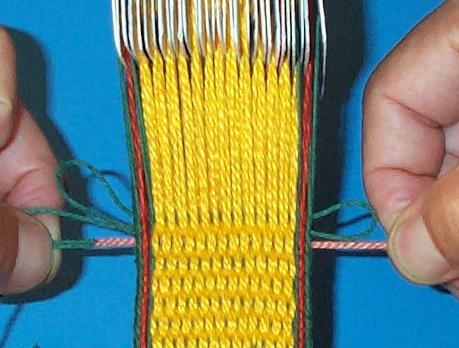 Step 5: The weft is in place now but needs to be tightened. Start at the top. Step 6: Cut the end. You are done.